PITTSBURGH, Pa. - Pittsburgh Steelers safety Troy Polamalu will miss Sunday's game at the New York Jets with a sprained right knee. Polamalu injured the knee in the second quarter of a 43-23 victory over Baltimore on Sunday night. Polamalu was caught underneath Baltimore's Justin Forsett after Forsett was being tackled by teammate Stephon Tuitt. 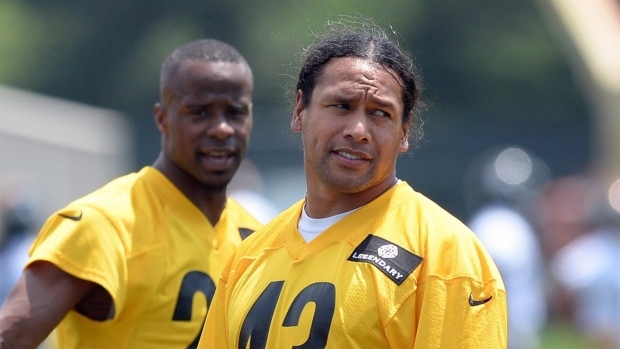 The 33-year-old Polamalu walked off the field and returned briefly before heading to the locker room. Polamalu has 51 tackles this season. He will be replaced by Will Allen on Sunday when the Steelers (6-3) face the reeling Jets (1-8). Pittsburgh inside linebacker Ryan Shazier will also sit with a sprained right ankle. Shazier missed four games earlier this season with a sprained right knee. Sean Spence will fill in.